Theosophy expresses modern versions of the ancient wisdom found in world religions. Ultimately, it concerns living fully by learning the meaning of life and thereby achieving self-transformation. These essays by a premier American teacher are grouped according to the four stages of the quest for meaning: The Human Condition, Our Hidden Potential, Esoteric Teachings, and Self-Transformation. Written over a lifetime, these essays comprise a reliable, inspiring guide for anyone on a spiritual path. 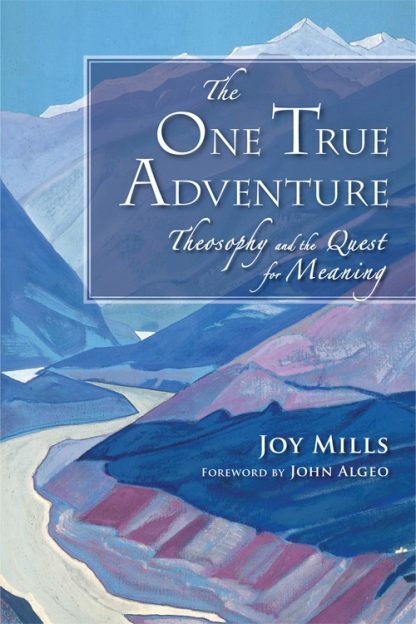 Joy Mills, a teacher by profession, has devoted most of her adult life to the work of The Theosophical Society. Joining the society in 1940, she has served in a number of capacities, including that of National President of both the American and Australian Sections of the society, as well as International Vice-President. Her lecture tours have taken her to more than 50 countries and society branches. She has published several books, including a history of the American section, 100 Years of Theosophy, and her writings have been published in theosophical journals throughout the world. Mills holds a bachelors degree from the University of Wisconsin-Milwaukee and a master's in English Literature from the University of Chicago. She engaged in further post-graduate studies in American History at the University of Washington. During a seven-year period, she was a high school teacher in the Seattle Public Schools system. Elected to the office of National President of the Theosophical Society in America in 1965, the first woman to serve in that capacity, Mills was re-elected for three successive terms. During that period, she founded Quest Books as well as a number of other programs supported by grants from the Kern Foundation. Resigning office in 1974, when she was appointed the society's international vice-president, Mills took up residence at the world headquarters in Chennai, India, continuing to tour and lecture throughout the world. Returning to the States in 1980, Mills became Director of the Krotona Institute School of Theosophy, greatly expanding its educational and training programs. Called to accept the office of National President of the Society in Australia, Mills resided there for three years. Returning to her home in Ojai, CA, Mills continues to teach at the Krotona School and also serves on the Board of Trustees of the Krotona Institute. Mills continues as a member of the international society's General Council, its governing body, and has made frequent trips to its Indian headquarters. Now in semi-retirement, she devotes most of her time to writing while still presenting some classes at Krotona.